Aunt Bucky’s signature silhouette cut-out modern-vintage-like design. SKU: AuntBucky_BG_ShadowPillow. Categories: Home Decor, Shadow Pillows. Tags: Aunt Bucky, baby, Baby Bedding, black and white, boy pillow, cut outs, decorative decor, girl pillow, Home Decor, kid, Kids Decor, king, modern crib bedding, modern family, nursery, pillow, queen, royal baby, royalty decor, shadow pillow, silhouette, Tiny Baby Shadow Pillow, unisex baby bedding, unisex decor, unisex pillow, vintage design. 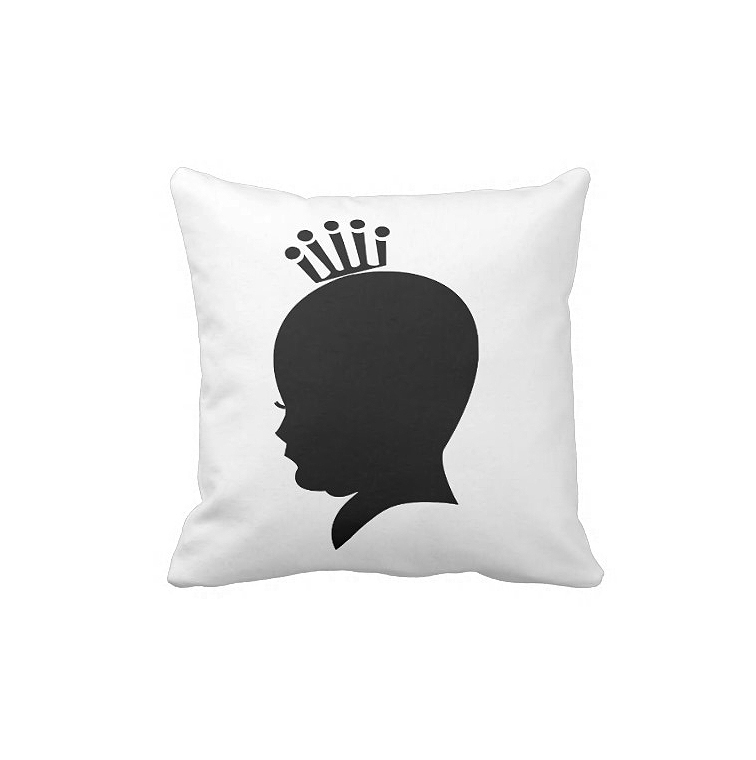 Aunt Bucky’s signature ‘Shadow Pillow’ silhouette design will make your little one very regal. A delicate balance of contemporary approach and old school tradition make silhouette pillows accessories imaginative and unique yet bursting with modern upgrades. We have wrapped old-fashioned family nostalgia and modern gifting into one chic package. Perfect for celebrating newlyweds, new baby, or someone who loves anything royal. Accent your home with grade A woven cotton custom pillows from Aunt Bucky. 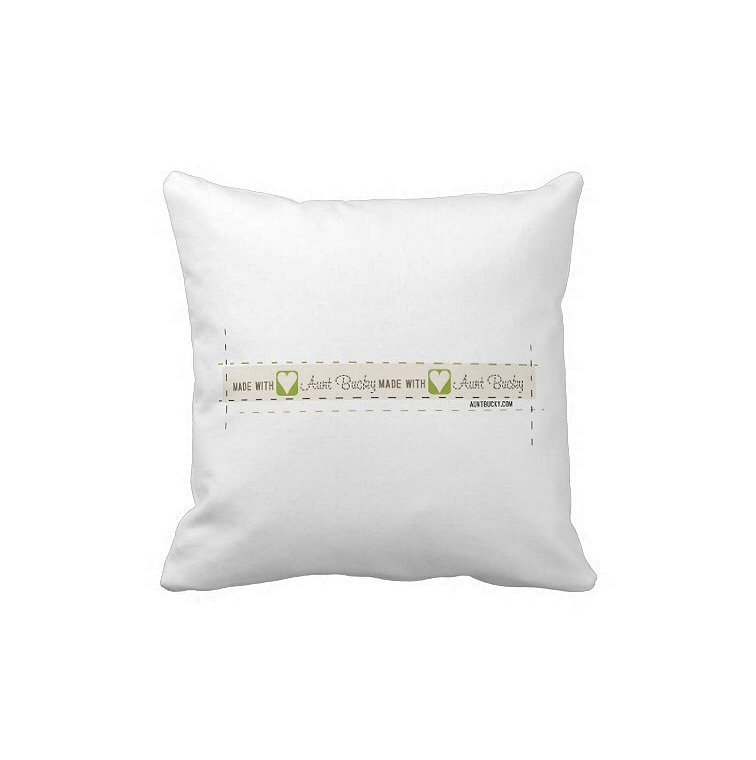 Made of 100% grade A cotton, these soft pillows look great with your home decor whether it be modern or vintage finds. It’s all you need to spruce up a room that needs a little makeover. 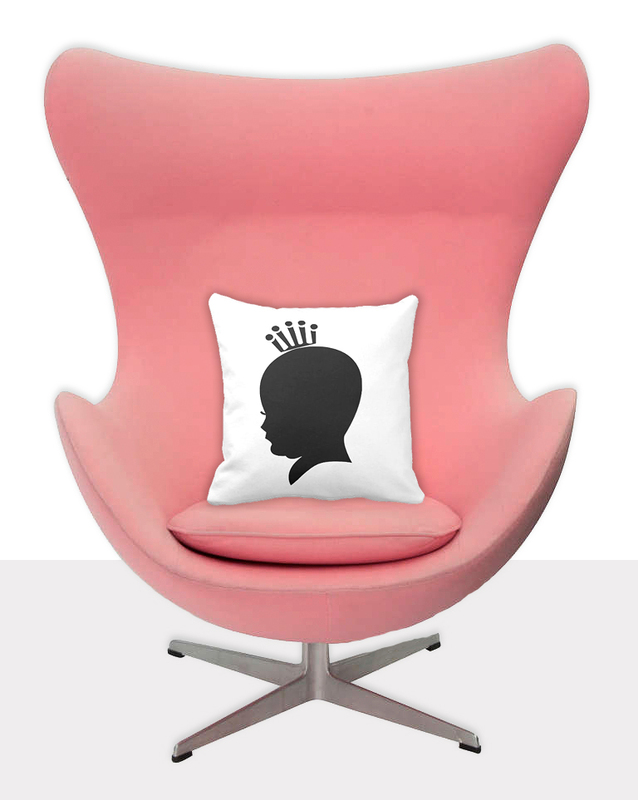 The Little Royal Baby Shadow Pillow is the perfect complement to your couch, bedroom, playroom, or kids room – custom pillows will make you the envy of the neighborhood. Best part, our Little Royal Baby Shadow Pillow has a zipper so it can easily be removed and machine washed. You also get the pillow insert with this purchase and it too can be machine washed if needed. Great gift for expecting Parents, Grandparents, or a little royal baby. Removable Cover with zipper for easy laundering. Machine washable: Cold Water and Hang Dry. What is a Silhouette? Cutting portraits, generally in profile, from black card became popular in the mid-18th century, though the term “silhouette” was seldom used until the early decades of the 19th century, and the tradition has continued under this name into the 21st century.